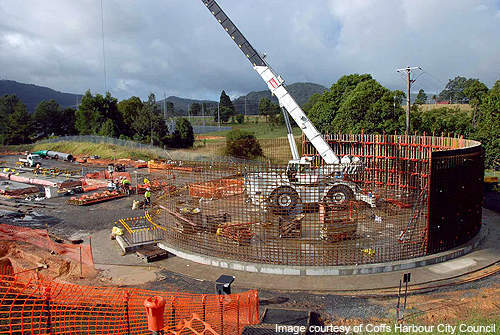 Coffs Harbour water treatment plant (WTP) is located at Karangi, a suburb in the city of Coffs Harbour, New South Wales. Since the project was estimated to require an investment of more than $30m, it was categorised as a 'major project'. The new regional water supply involved extraction from a different source, and storage in the new dam. Coffs Harbour Council wanted to ensure the water source would meet the high quality of water from the Orara River and Karangi Dam. Work on the construction of a filtered water channel and UV treated water channel began in early 2008. 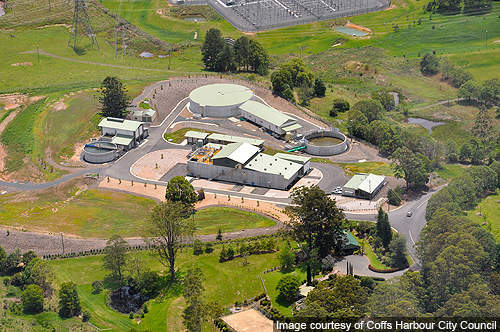 Coffs Harbour water treatment plant (WTP) is located at Karangi, a suburb in the city of Coffs Harbour, New South Wales (NSW), Australia. The plant was officially opened in June 2009 with an investment of $60m. It can treat 42 megalitres of water a day. The capacity, however, can be increased to 56 megalitres a day in future. Since the project was estimated to require a capital investment of more than $30m, it was categorised as a ‘major project’ under Part 3A of the environment planning and assessment act 1979, NSW. As a result, an environmental assessment (EA) of the project was undertaken by consulting services firm GHD. As part of the EA, a visual assessment (VA) was also carried out to investigate the potential visual impacts of the proposed plant on the surrounding environment. Adjoining property owners were consulted during the design process, to input to the landscaping to enhance the visual amenity. 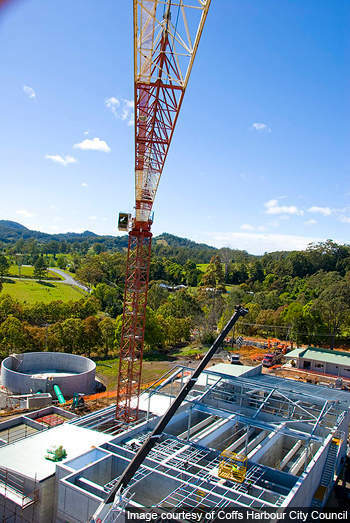 Coffs Harbour’s local water supply is of a high standard, but several years of drought and a growing population highlighted the need for long-term planning. Coffs Harbour City Council formed a partnership with the neighbouring Clarence Valley Council and the NSW Government to develop the $180m regional water supply project, which included a 30,000 megalitre Shannon Creek Dam, 90km pipeline and associated infrastructure along with water efficiency education initiatives, to provide a secure water supply until 2030 and beyond. Coffs Harbour Council wanted to ensure any new water source would continue to meet the high quality of water from the local Orara River and Karangi Dam, as well as the prevailing Australian drinking water guidelines and NSW Health Department requirements. The city initially used to get water supply from Karangi Dam. In the past, the dam was supplied by inflow only from the Orara River catchment area. The sourced water was treated by aerating it at the dam itself, to remove iron and manganese substances. The treated water was stabilised by adding lime and carbon dioxide and was chlorinated. The plant has five main components. The control building is built on the southern entrance of the site. Adjacent to the control building is the dissolved air filtration and flotation (DAFF) building and a chemical plant. Treated water storage tanks, a sludge de-watering building and a treated water pump station are built on the north-eastern boundary of the site. Construction of the new water filtration plant at Karangi commenced in October 2007. A risk assessment and a hazard and operability study (HAZOP) were carried out prior to the construction. 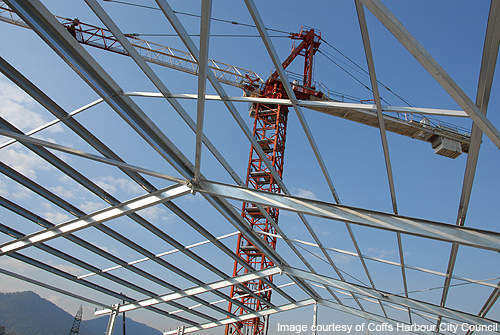 A temporary building to serve 80 workers during peak construction period was erected in November 2007. Work on the construction of a filtered water channel and UV treated water channel began in early 2008. The control building and an education centre were completed in late 2008. Water from the Karangi Dam is first gravity-fed to the plant. It is then stabilised by adding lime and carbon dioxide. A dissolved air flotation and filtration process is applied to remove contaminants from the stabilised water. 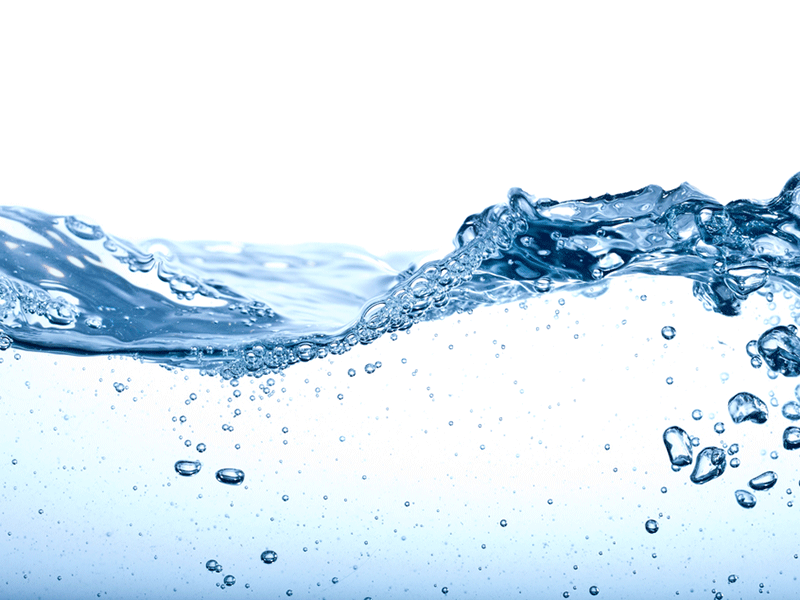 Water is disinfected through ultra violet light irradiation and chlorination. The CHCC was the proponent of the project. 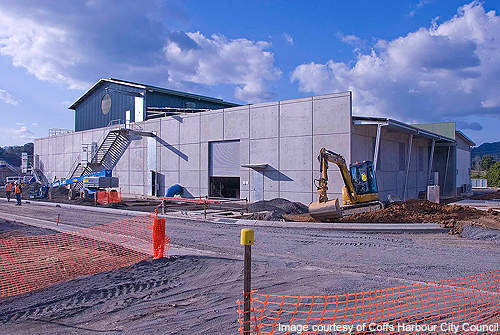 The design and construction was undertaken by Coffs Infrastructure Alliance, comprising CHCC and a joint venture between Abigroup and John Holland. The process design was by GHD. The electrical and mechanical expertise was provided by CNF&A and Aquatec Maxcon.